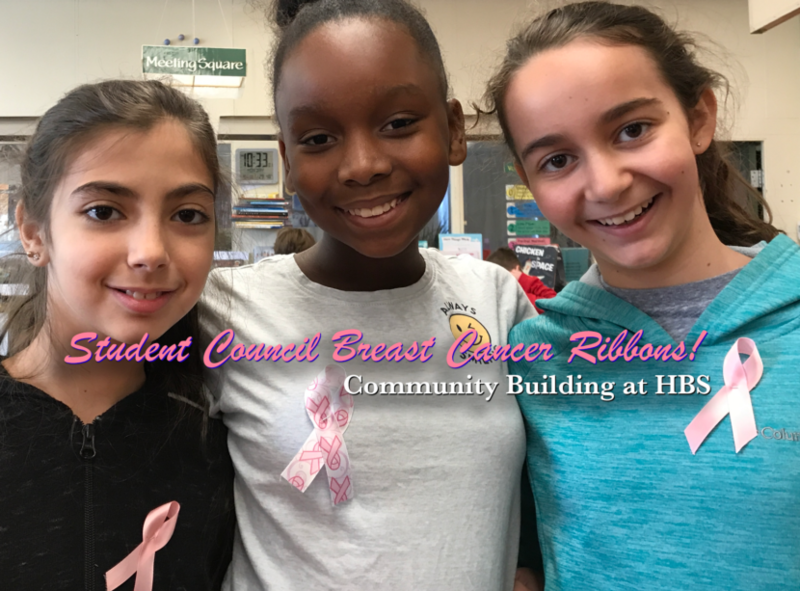 This year, student council wanted to donate and support breast cancer in October (October is National Breast Cancer month). Unfortunately, the month flew by and we haven’t been able to donate to breast cancer, with so little of the month left, we decided to insanely create about 260 ribbons not counting the teachers. We would be honored to give Clara Smith and her mother a huge thank you for helping us with this project. The student council is planning to continue implementing many initiatives that create a sense of awareness among all HBS students. The HBS Student Council believes that small, deeds like this can lead to doing more and more good things which make our community stronger. We are trying to make a difference and spread awareness and remember that you can too! If someone has any ideas for pancreatic cancer month-November or anything else we would be thrilled to know them.